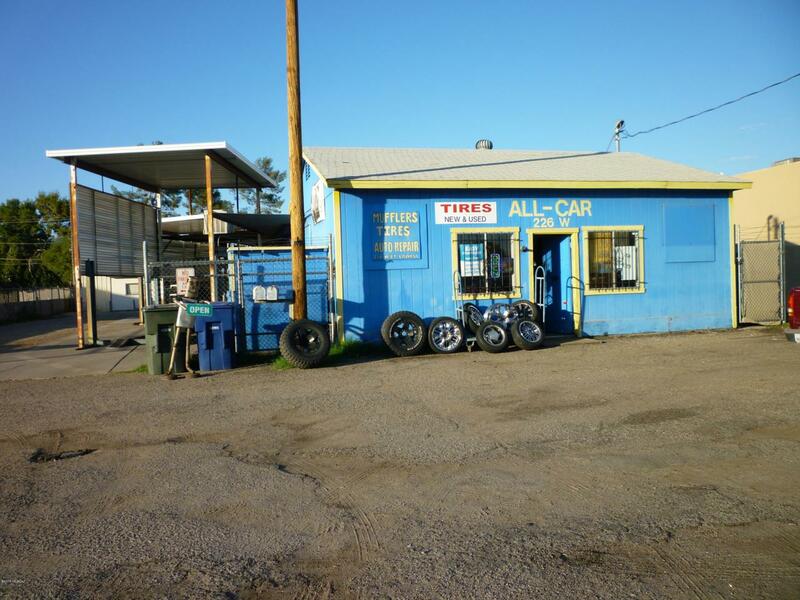 Auto Repair Facility containing 1510 sf turnkey Automotive Repair shop. Includes 3 Six Ton Hydraulic Lifts, Air compressor, Tire Stands & other Equipment. See Attached Inventory for more complete list.